North Little Rock, Arkansas, (population 58,896) situated across the Arkansas River from the state capital, developed around river traffic and the railroad industry. Cotton, cattle, and timber were at the heart of the early economy, which has diversified through growth in the medical and service fields. Still anchored by the railroad, the city has grown into a transportation hub and is home to several major trucking firms. North Little Rock is also home to the military, going back to the 1890s with the construction of an Army camp. During both World Wars, the Army trained recruits at Camp Robinson, located in the city. Public/private partnership and historic preservation were pivotal in the revitalization of Downtown, where investment is booming and crime has greatly diminished since the Argenta Historic District was established in 1993. An award-winning model for the revitalization of distressed communities nationwide, the district has been profiled nationally and lauded for its success, including a National Honor Award from the National Trust for Historic Preservation in 2002. Achievements in preservation and economic reinvestment helped the city become one of the nation’s Distinctive Dozen Destinations in 2007, an honor awarded by the National Trust. The city has also partnered with the non-profit Arkansas Inland Maritime Museum (AIMM) in maintaining a World II submarine, the U.S.S. Razorback. In addition to the submarine, the museum features archival collections of naval materials. The museum has an active volunteer and docent program. Volunteers also provide guided tours at the Old Mill in T.R. Pugh Memorial Park. 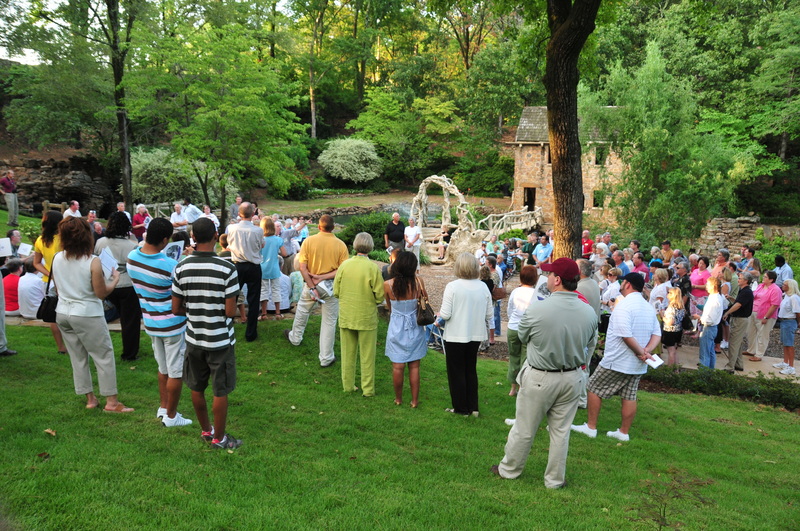 The North Little Rock History Commission and Historic District Commission work closely with community groups and non-profits to promote heritage tourism. One example is the Art Walk, held monthly in the Argenta Historic District. This event has helped link the downtown historic district with the River Rail trolley line while showcasing the city as a destination for entertainment and art. In addition to these events, the commission provides programs and presentations to all schools in the city. They also conduct training sessions on the city’s history for social studies teachers and provide rotating exhibits at various sites. The city was recently awarded a Preserve America Grant for $69,220. The project, titled Branding the City of North Little Rock National Register Historic Waterfront and Historic Sites, will help the city establish its unique identity through materials and signage.